This is a spacious one-bedroom apartment in the complex Jardin del Sol in Playa de La Arena. It has two large sunny terraces. One with stunning views of the ocean and La Gomera and the second one, also sunny with a BBQ area. 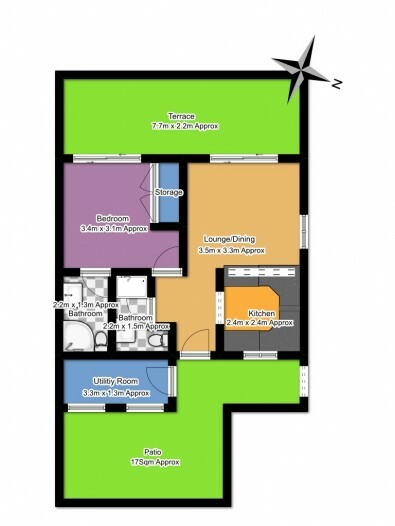 This apartment also has two bathrooms, one being en-suite and the other being the guest WC. The community is maintained to a very high standard with garden areas and a swimming pool. The apartment has very easy access from the street. This apartment is in a fantastic location as it is close to the local school, gym and other amenities.